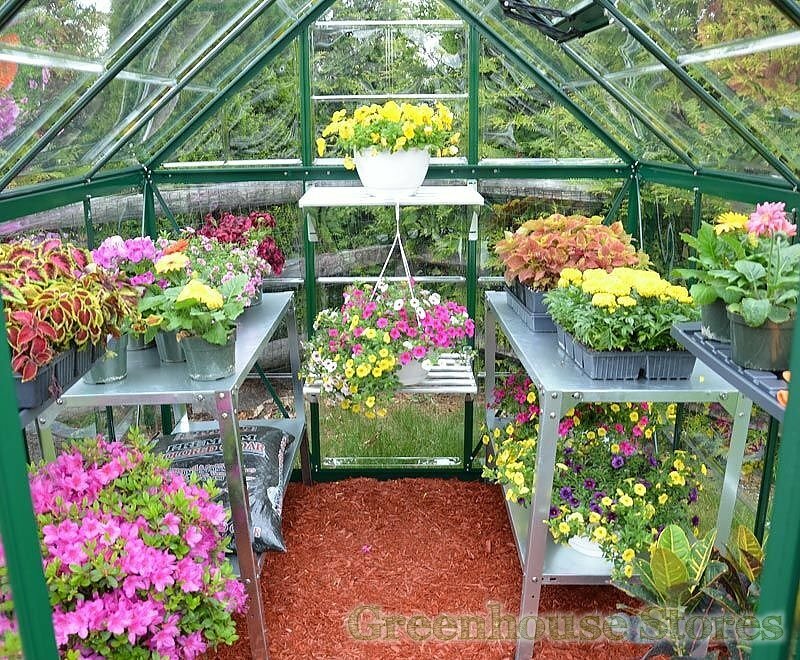 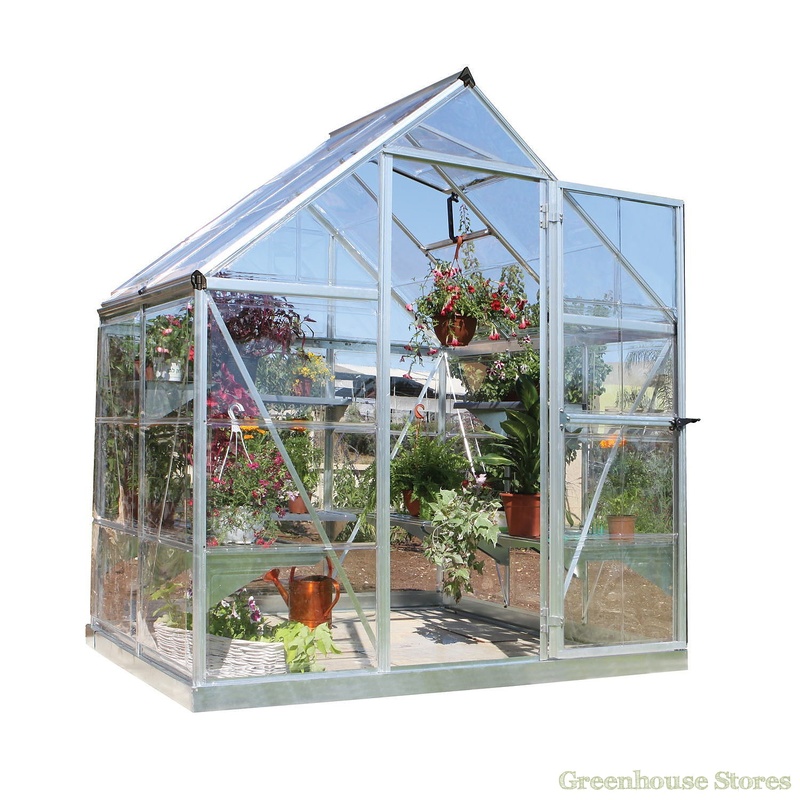 The Palram Harmony 6x4 is a smart little greenhouse that’s perfect for any little garden or allotment. 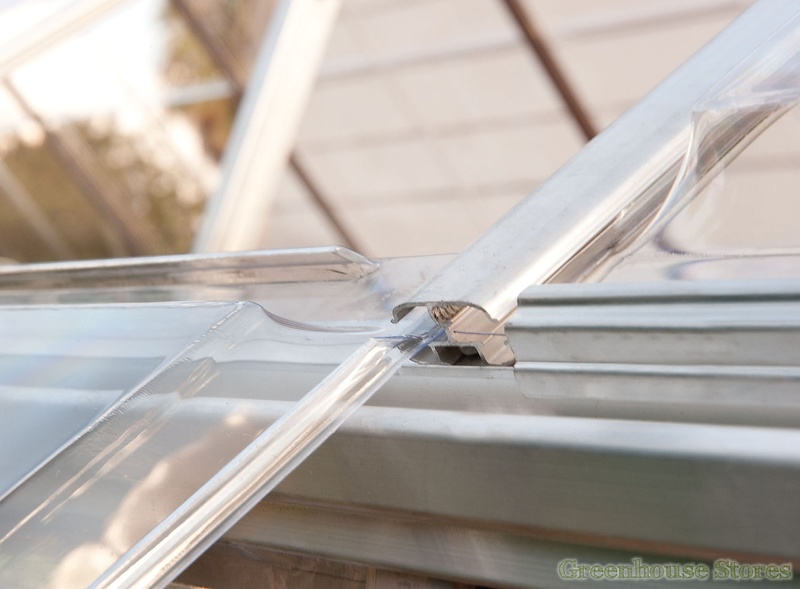 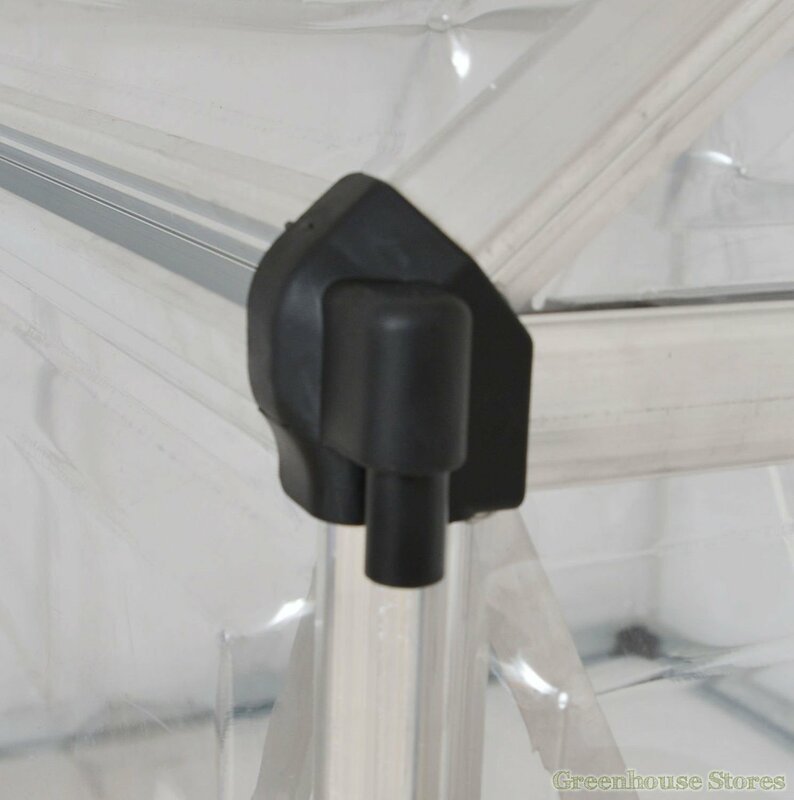 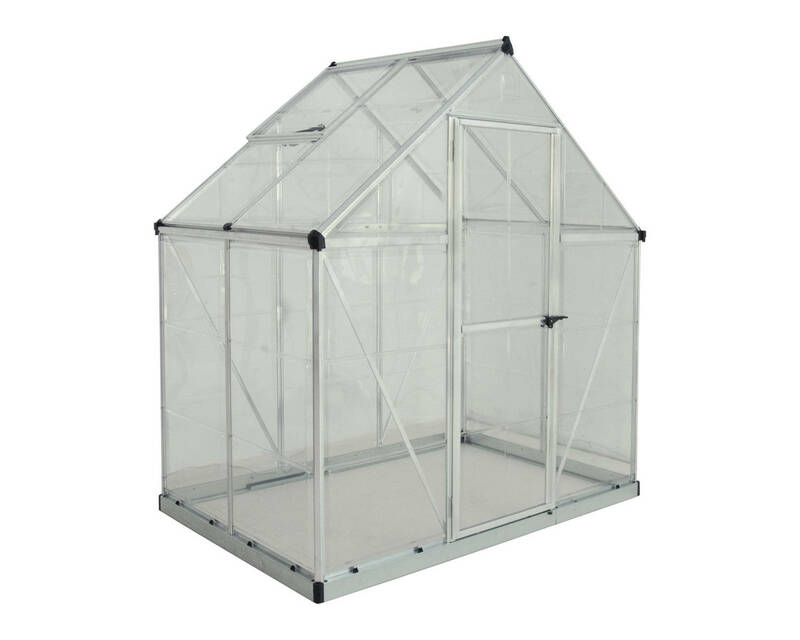 Clear polycarbonate makes it very safe for family use. 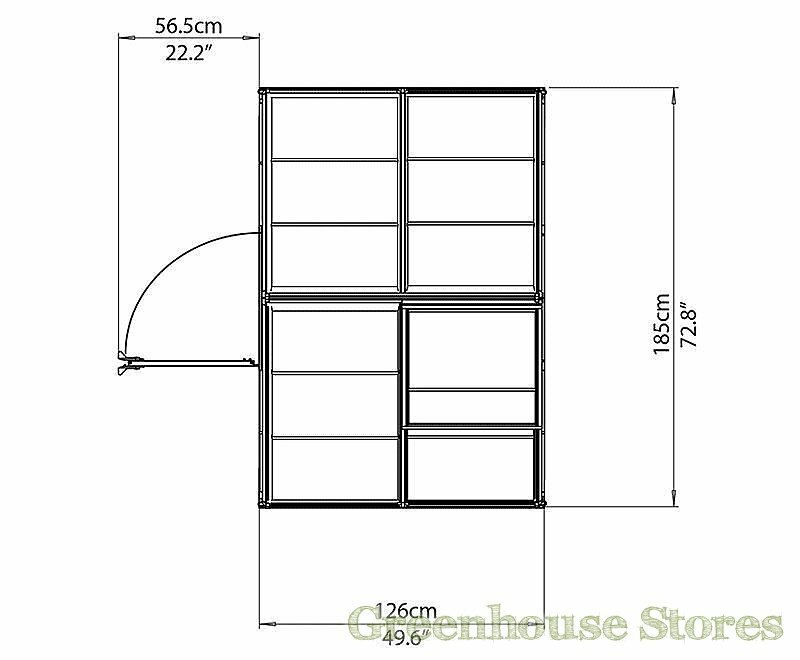 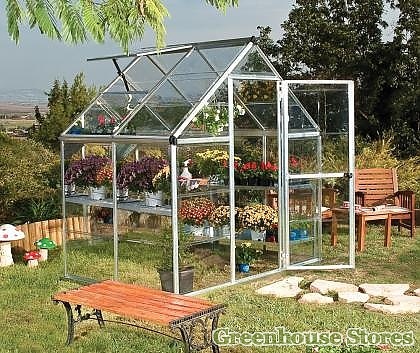 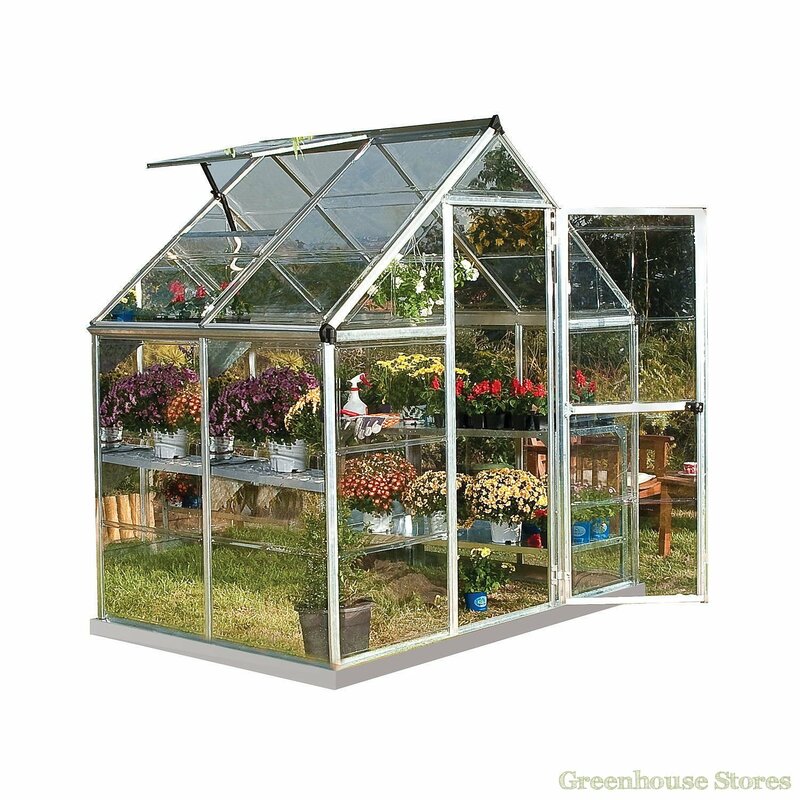 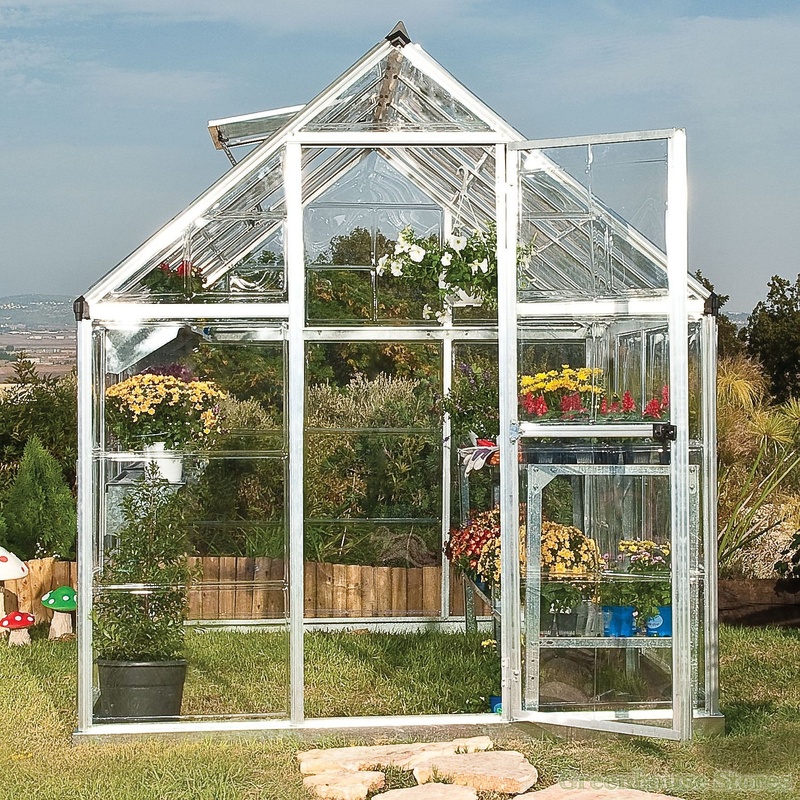 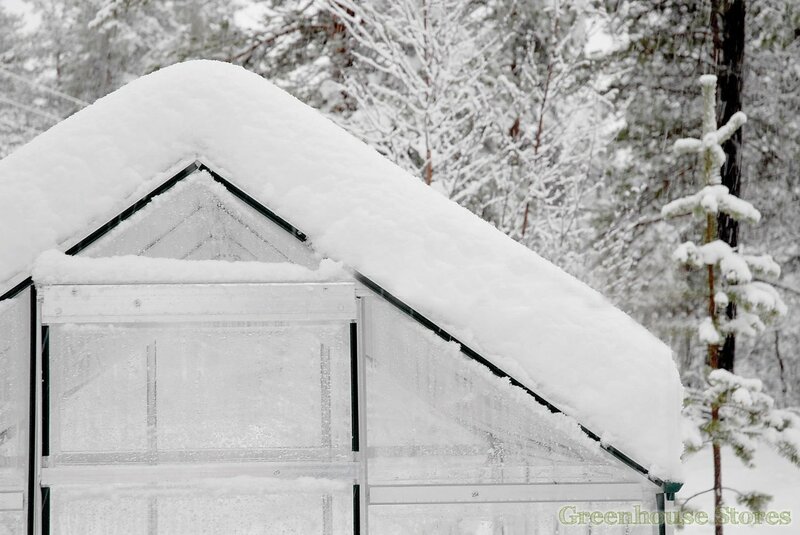 The Harmony 6ft x 4ft greenhouse is packed with some great features. 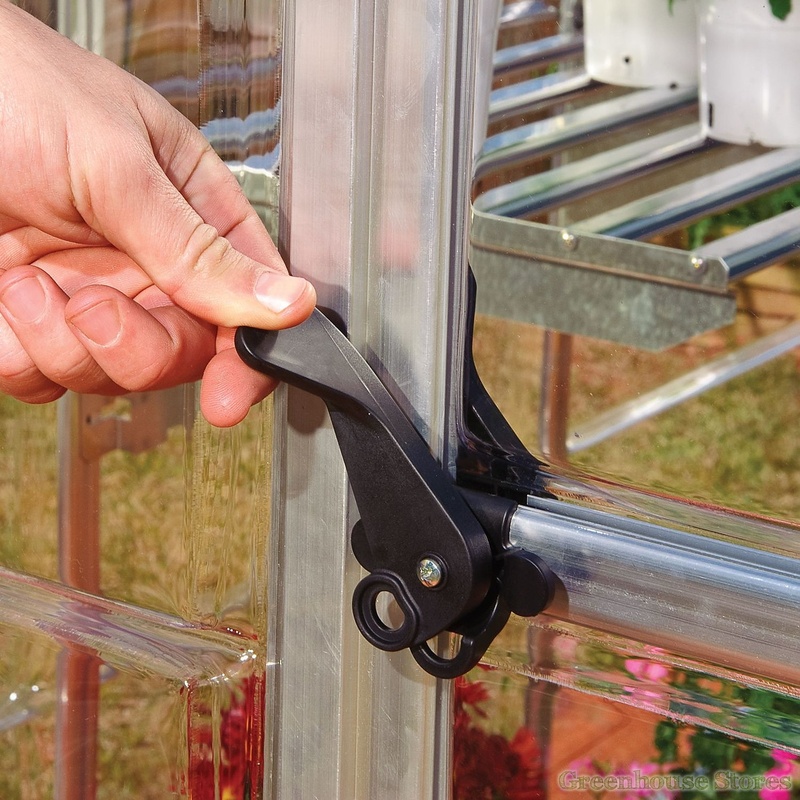 The clear as glass polycarbonate, a proper opening door with latch and the slide in glazing system where you won’t be needing fiddly glazing clips. 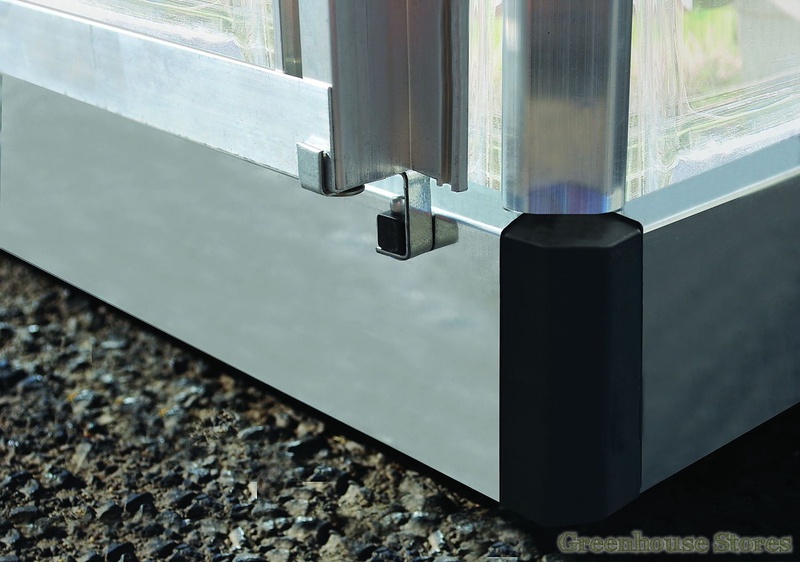 The slide in glazing system also helps with wind resistance to help stop glazing popping out in windy conditions. 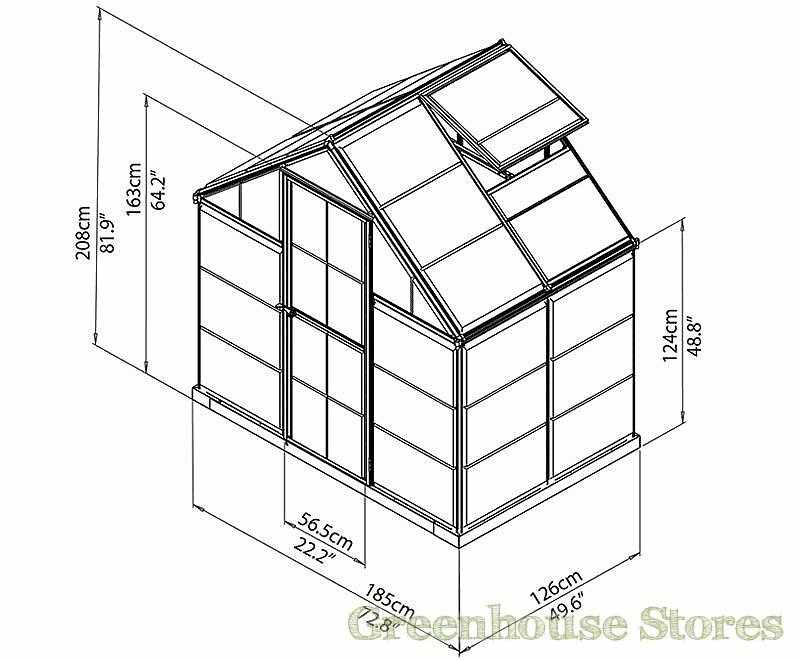 This Palram Harmony 6x4 has a single opening roof vent for ventilation, an outward opening door, aluminium base and integral gutters.